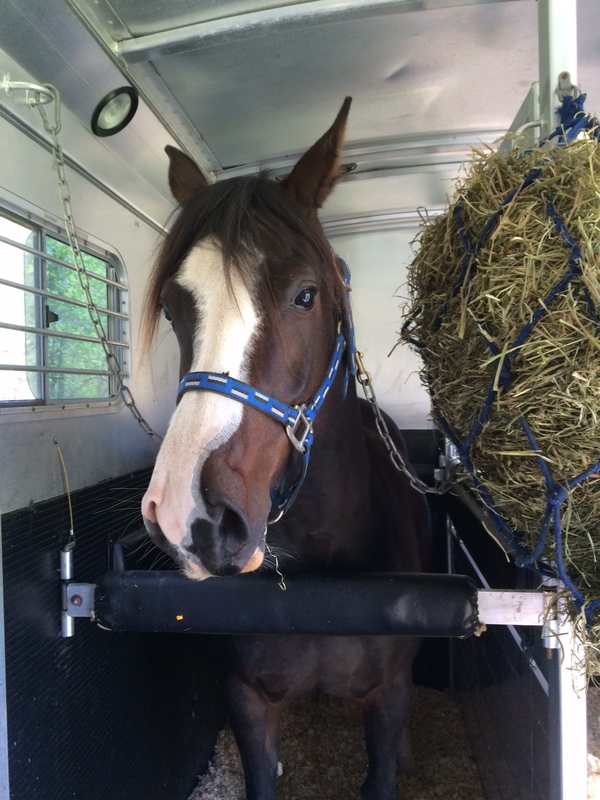 Nibbles arrived at the trainer’s barn on Sunday evening and was pretty worn out from the ~8 hour trip. I’m not sure of the best way to keep track of everything so I may play with formatting and reports over the next couple weeks. We’ll start with this! Sorry, no pictures just yet. Nibbles was turned out by herself. Trainer E did a little bit of groundwork and lunging, not too much. Nibbles was on higher alert than the previous evening. She received her third dose of Ulcergard, no issues there. Nibbles’ first ride at the trainer’s! She was pretty high strung and the barn was very busy: other horses in the arena and people even playing tennis on the courts next door. She round her in the outdoor arena as it was the least busy. Nibbles protested at her noseband being a bit tight and flipped her head a couple times until it was loosened. She hopped on and walked around calmly a couple times and called it a day on a positive note. Green horse in a busy environment, not bad! Fourth and final UlcerGard given. Trainer E did a lot of groundwork and lunged her a little bit. She thought the groundwork really helped and she’s definitely improved as far as not being on such high alert. She also said she was super loving, that she was “grooming” one of the girls at the barn while she scratched her neck. That sounds like Nibbles! Unfortunately, one of my stirrup leathers cracked all the way through so I need to send a replacement pair in the near future. Day off! Nibbles gets to relax and hopefully settle in more before beginning “real work” tomorrow. My thoughts so far are really positive. Nibbles apparently already has a fan club and Trainer E says she’s the most personable horse she’s ever met. This barn is nothing like Nibbles has ever seen so I’m really happy she’s trying hard to be a good girl. I’ll be sharing pictures as I get them. 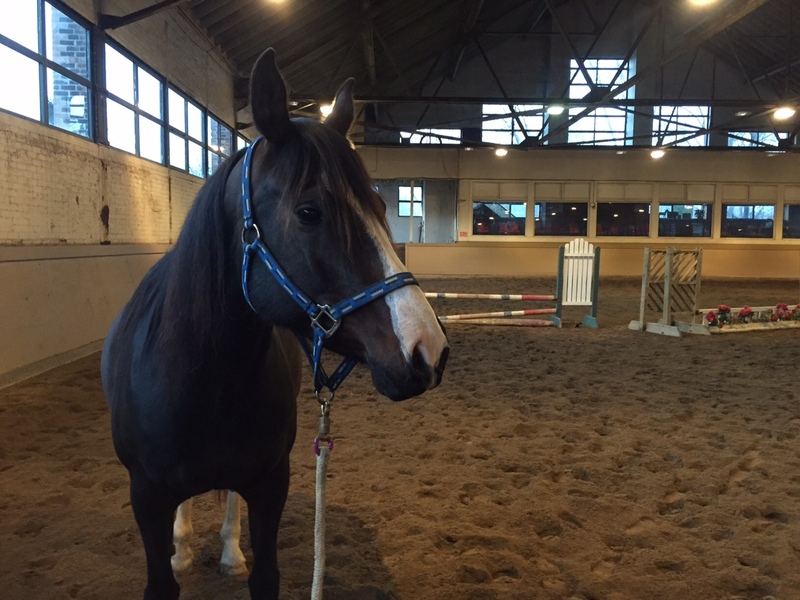 Trainer E is really pleased with her thus far, really loves her active hind leg and thinks she’s a fab little mover. I’m so excited to finally be able to share my big news. Readers that have been following for a while know that I’m getting married in mid June and that my soon to be husband is starting his MBA this fall. That means we’re moving to northern Indiana after we get back from our honeymoon. So where does that leave Miss Nibbles? Thanks to a wonderful friend, I have a very exciting announcement. 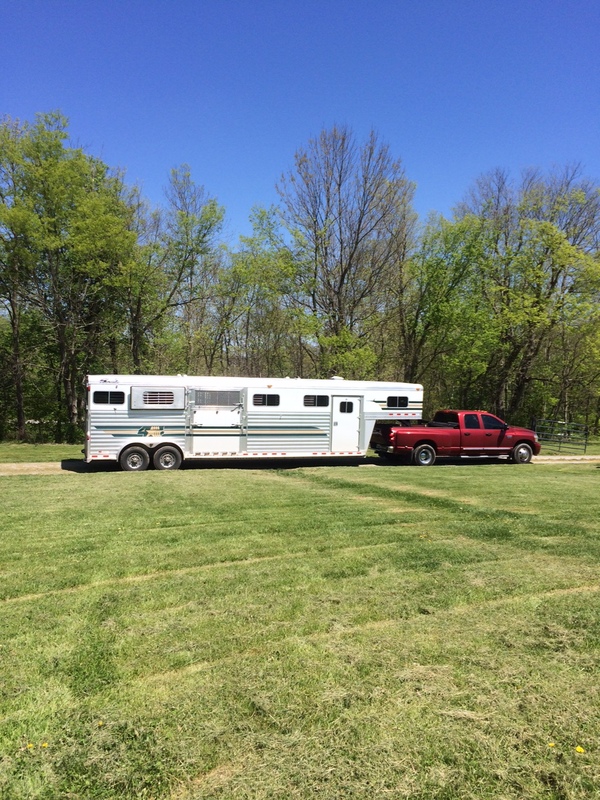 Nibbles loaded up yesterday to head up to Michigan for full-time training for the next few months. 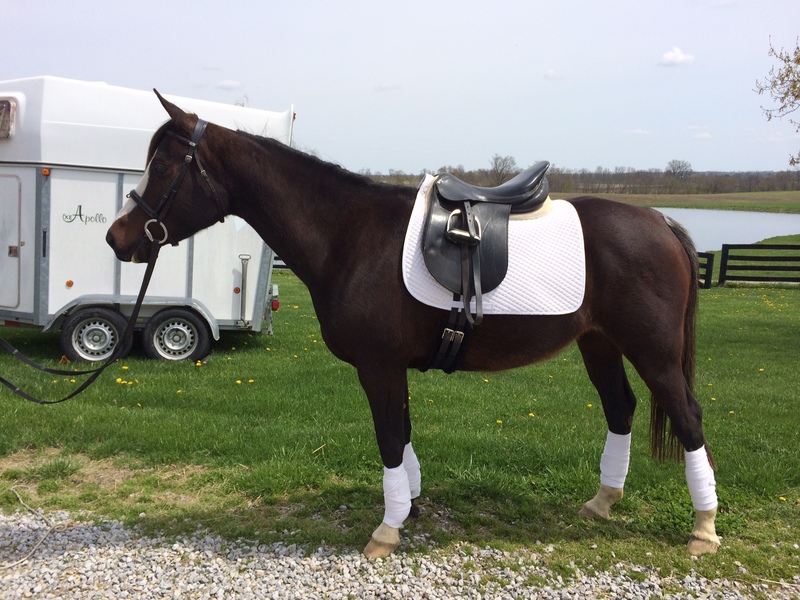 The trainer – I’ll call her E – is a good friend of mine and incredibly talented dressage trainer who happened to have a spot at the right time. The thought of Nibbles being in full work while I run around like a crazy person makes my heart sing with joy. The princess arrived yesterday evening and hauled super well. She settled in quickly at her new big, beautiful barn. She’s transitioning from turn-out only to limited turnout and living in a stall like a grown up. 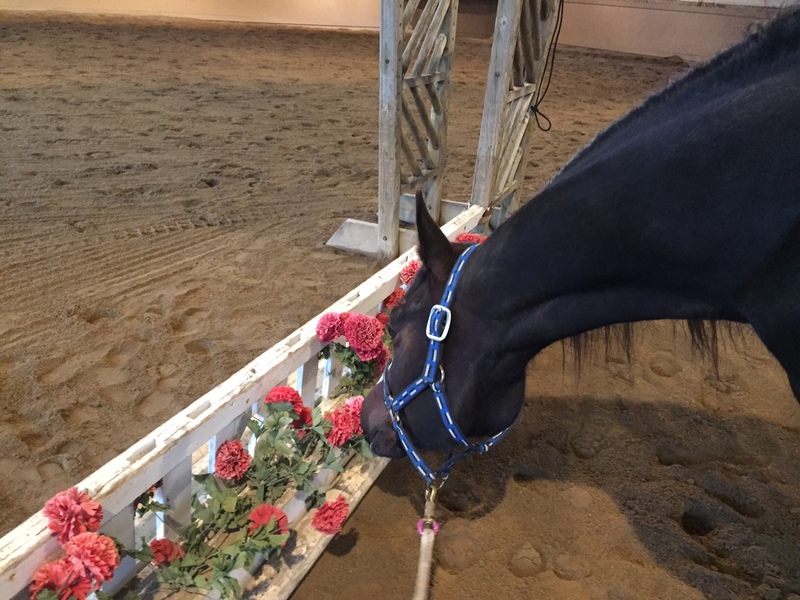 Trainer E took her for a walkabout and said she wasn’t nervous at all, just snorted at the flowers jumps. Yep, that sounds like my girl! I’m a proud pony mom for her taking such a huge change in stride on Day One. And now, picture spam compliments of Super Trainer E of her first night. The view from her new stall. 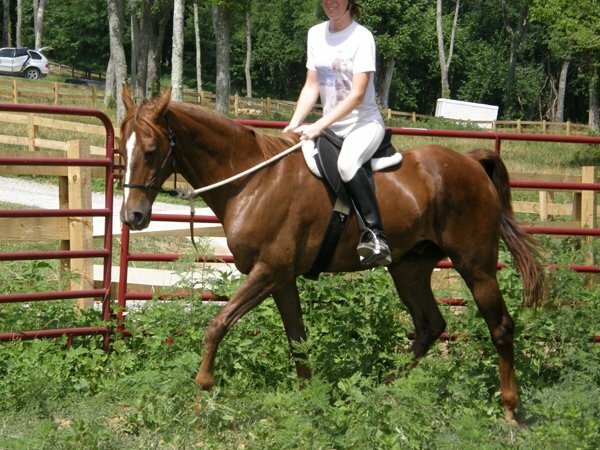 Around 2006, I was boarding my first horse, Morkie, at a barn in middle Tennessee. 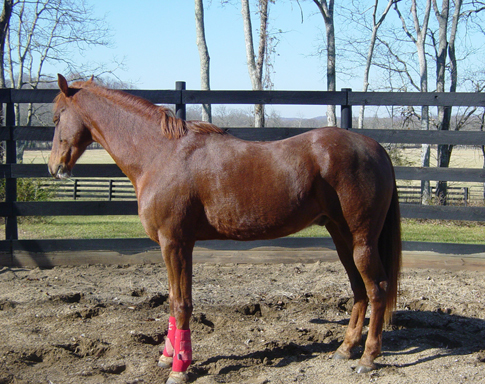 The barn owned bought several horses from a kill auction that summer and I fell in love with a gelding whose name had been Garfield. He was unbearably skinny and unbearably sweet. I was in love and I called him Tiki. 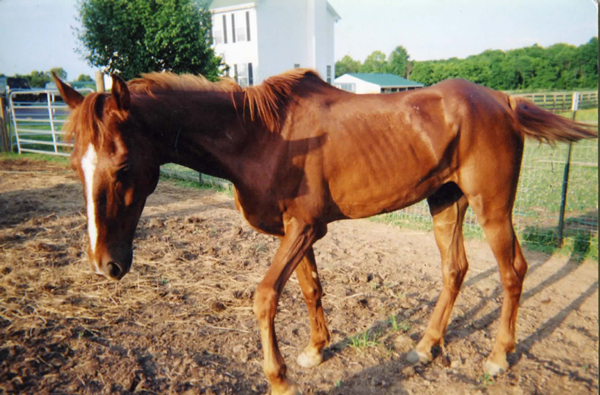 Tiki was clearly severely malnourished but he wanted to be with people. He followed us around the pasture and, for a sum of $600 (his purchase price and initial vet bill), my family bought him from the barn owner. Tiki had a forever home with us and lived to be about 19 years old on our farm before we humanely laid him to rest when his EPM finally began manifesting neurologically. He never made it to the show ring but Tiki taught me a lot about horsemanship and about believing in someone. I backed him myself and he came with me all over Tennessee and Kentucky. We stopped riding him when the EPM began to affect his coordination and, eventually, eye sight. Of unknown breeding, Tiki wasn’t much to look at but I was as proud of him as any young teenage girl could be. I started him on my own and took a lot of pride in how far he had come. He hated trailers, pawed when he ate his dinner and loved just about everyone and everything else. Had my family known how much we’d spend on vet bills to figure out his mystifying health issues, who knows what may have happened. But I honestly wouldn’t change anything. He taught me perseverance and humility. In his later years, Tiki began losing weight again. It was very humbling to have to explain that his disease didn’t allow his body to absorb nutrients properly to other horse people with raised eyebrows. I don’t know how his ultra-narrow chest fit his large, puppy dog heart but it did. Nibbles is the only horse I’ve had since Tiki that can come close to that “pick me! pick me!” attitude. Thank you, Tiki, for teaching a teenage girl so much. I’m so glad you found me. My broodmare who is out on lease is nearing foaling time! I don’t know that I’ve ever mentioned her on the blog before. 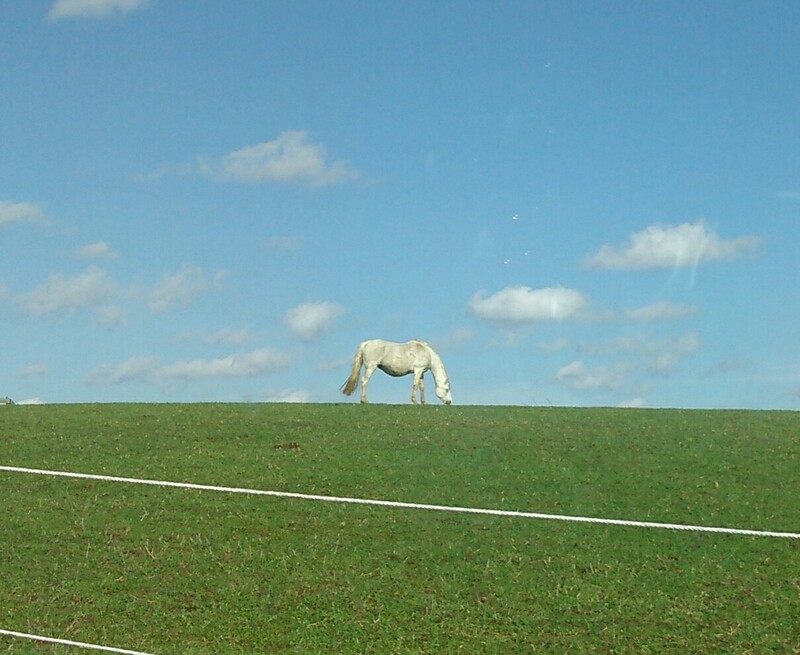 This is not the same big grey mare I sold. This mare is her half-sister (full blood Shagya) and I am leasing her to a lovely lady who bred her to a Lipizzaner stallion. I cannot wait to see the foal even though he/she is not mine. Her due date was originally May 24th but she is already bagging up so we’re thinking perhaps a hair earlier. This is not her first foal although it will be for the lessee so I’m very excited that my sweet girl could give her something she’s dreamed of. I’m still sitting on my big announcement due to some logistical delays – but trust that it is coming very, very soon! I can’t wait to have something to blog about again. Does anyone have experience with Brenderups? I bought mine second hand less than five years ago. It’s a 2002. Above is my ramp last night – it has an extreme amount of water damage. There is a small spot on the escape door as well. The water damage began very small on the bottom right hand side unexplainably and has become this. Clearly, it’s not safe for use and I’m afraid I won’t find someone who knows Brenderups near me (Kentucky). My lighting has also decided to go on the fritz; on the right blinker works and very faintly. 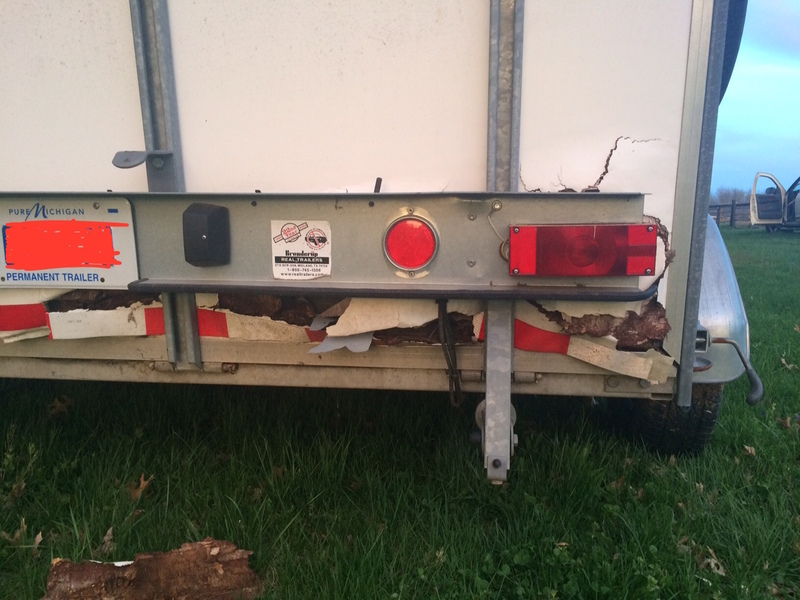 I’m crushed that my trailer may be a total loss.